LOAD, a UNIST-based student startup, has been awarded grand prize at the "2018 Startup Competition, Using National Defense Technology". LOAD, a UNIST startup team awarded grand prize at the "2018 Startup Competition". LOAD, a UNIST-based student startup, has recently been awarded grand prize and KRW 15 million in prize money at the “2018 Startup Competition, Using National Defense Technology”. The team is reaching for growth with the funding received from DAPA. The name “LOAD” is an abbreviation for “Lab On A Drone”, referring to “Lord Of All Diagnosis” with a determination to become a pioneer in environmental sampling and analysis. 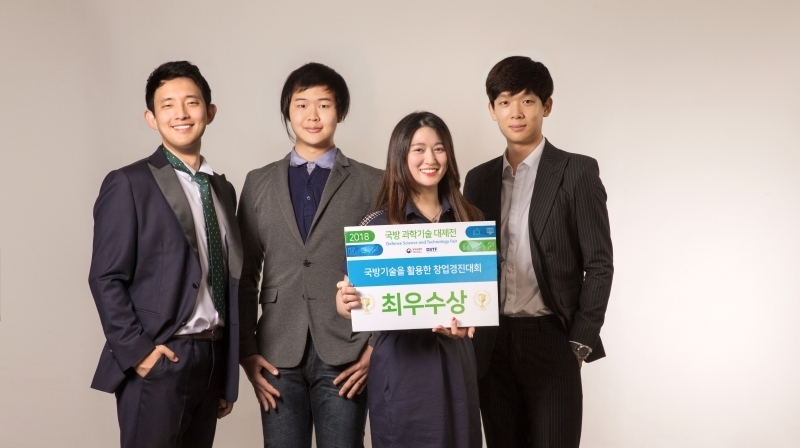 The team consists of four UNIST graduate students, including YuBin Kim (School of Energy and Chemical Engineering), Tae Heon Kim (School of Life Sciences), YouJin Ha (School of Life Sciences), and Sihyeong Park (School of Life Sciences). LOAD is currently working on the development of Unmanned Aerial Vehicle (UAV) systems or drones for environmental research. 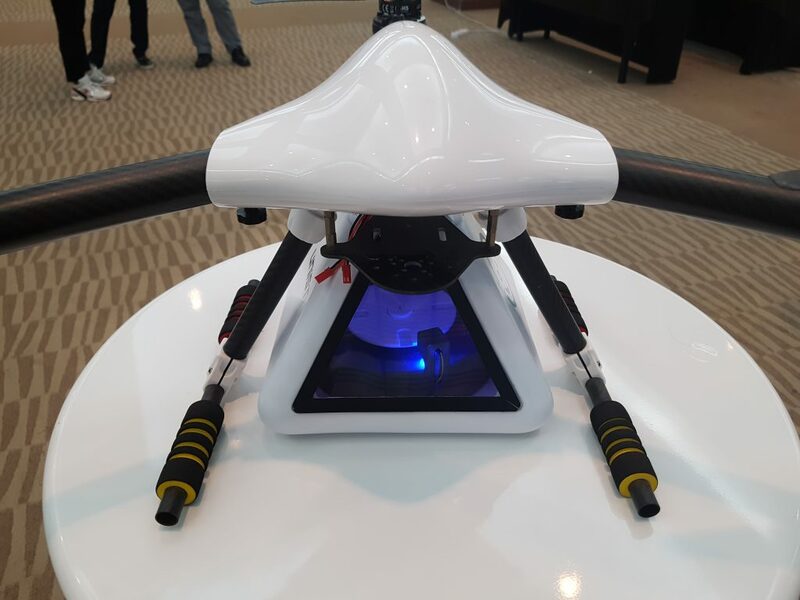 At the competition, the team showcased their prototype UAV system, combined with UNIST’s low-cost compositional analysis platform “lab-on-a-disk” and the drone cluster technology, which is one of the national defense technologies. 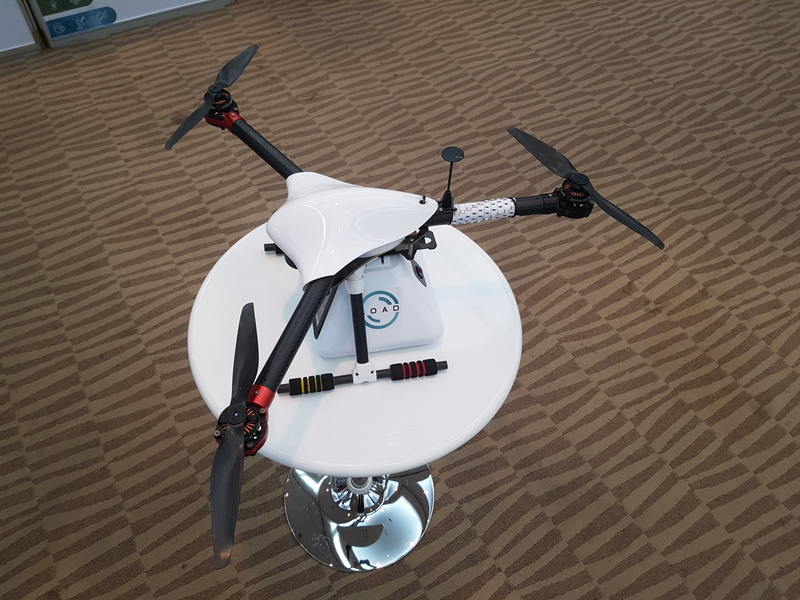 Shown above is a prototype drone, developed by LOAD. Through the analysis device installed on the lower part of the drone, one can easily monitor water pollutants. Current analytical methods for water-quality studies require samples to be collected on-site, then deliver to the lab for further processing. Besides being time-consuming, such methods can also lead to numerous problems, including high costs and difficulty in transporting samples. YuBin Kim in the School of Energy and Chemical Engineering at UNIST, a representative of LOAD. Meanwhile, the “2018 Startup Competition” has been hosted by the Defense Acqusition Program Administration (DAPA) and organized by the Agency for Defense Development (ADD). Participants in the competition showcased their startup iteams made with the national defense technologies, which have been made open to the public. The finalists who passed the screening and workshop examination received the final screening at the 2018 Defense Science and Technology Fair, which was held on Thursday, July 12, 2018. The award ceremony took place on Friday, July 13, 2018.